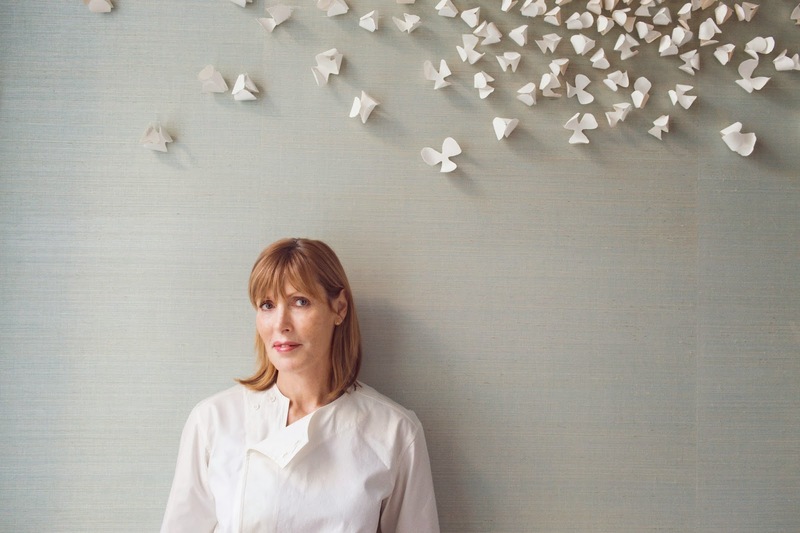 Spring, Skye Gyngell’s restaurant was one of the most anticipated restaurant openings in London for several years. Skye, whose super fresh food at Petersham Nurseries in Richmond thrilled and excited real food lovers from all over the world, had not been actively involved in the restaurant scene for over two years. In that time she and her team were actively seeking out exciting premises in central London. After much toing and froing they eventually chose part of the New Wing at Somerset House, where the Inland Revenue had its office for 158 years. 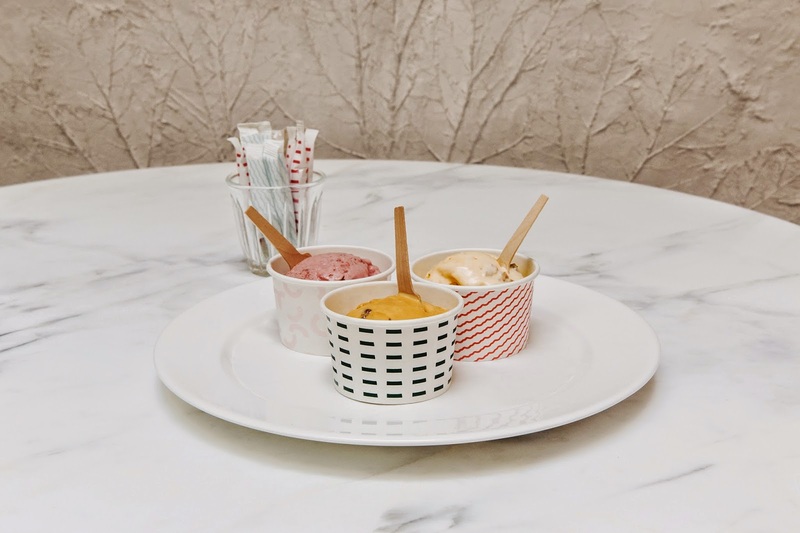 The new space could not be much further in style from the original charming greenhouse at Petersham Nurseries where mismatched tables, crockery and cutlery on the clay floor created a sophisticated up-cycled boho chic look. Here in Spring, Skye shows her elegant ultra-chic side by transforming what by all accounts was a dull and dreary room into a haven of sophistication with a Zen-like feel. 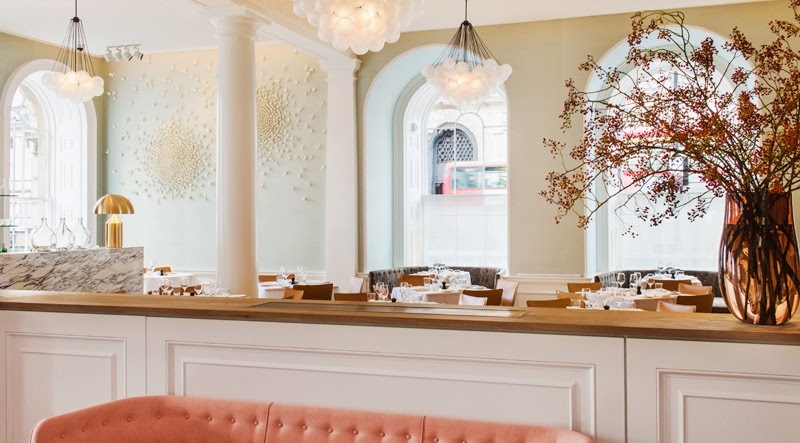 The walls are pastel with tiny handmade porcelain flowers by Valeria Nascimento fluttering across the walls. There’s a marble counter at one end from which drinks and house cordials are dispensed. 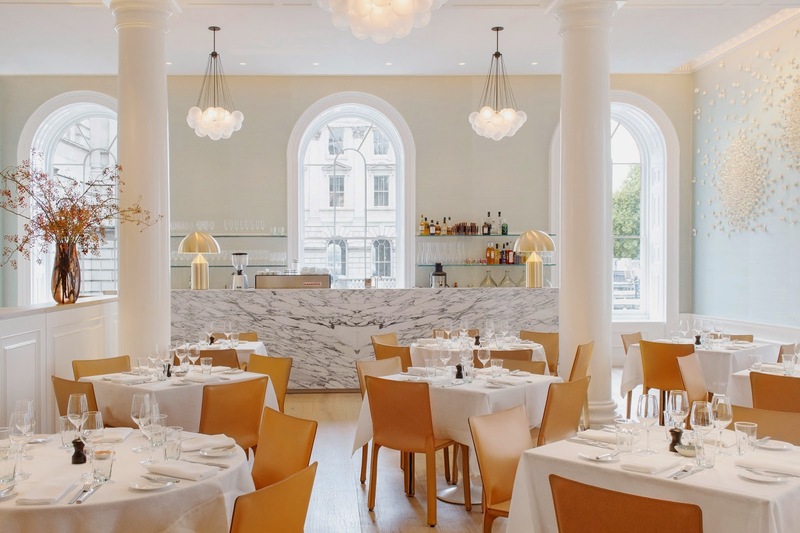 The cutlery is by English cutler David Mellor and the leather chairs are by Mario Bellini. The chandeliers which resemble bunches of frosted balloons cast a soft flattering glow. Not everyone loves the atmosphere or the eccentric staff uniform designed by Trager Delaney of Egg. I personally found them playful and quirky... and why not? The stunning desserts at are the creations of Sarah Johnson and her team. 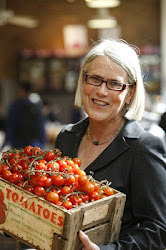 Sarah interned here at the Ballymaloe Cookery School for a while and honed her considerable skills at Chez Panisse in Berkeley as well as Pizzaiolo in Oakland. 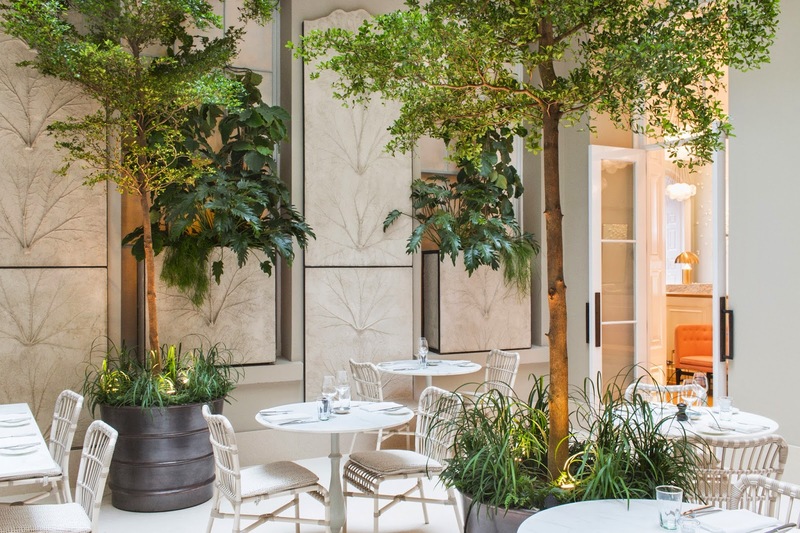 Put Spring on your London list. Open seven days for lunch and dinner. The server at San Francisco restaurants made sure to explain everything on the menu (I love it when servers actually know the menu), and basically made us feel like we were her best friends coming over to her house for dinner. We tried a few things and were impressed.